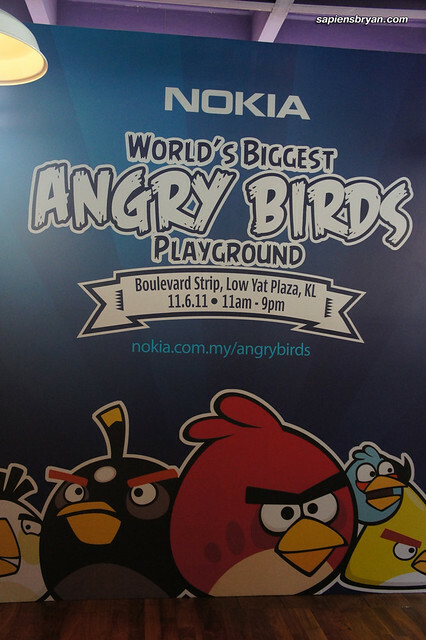 I was invited to Nokia’s World’s Biggest Angry Birds Playground at the Boulevard Strip, Low Yat Plaza last weekend and it was totally fun to be part of the world’s record setting event. 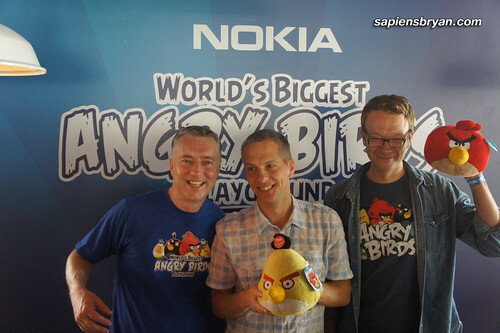 Angry Birds Playground is one of the biggest Nokia campaigns in Malaysia this year, they even invited Ville Heijari, VP Franchise Development of Rovio Mobile (the creator of Angry Birds), all the way from Finland to be part of the event. 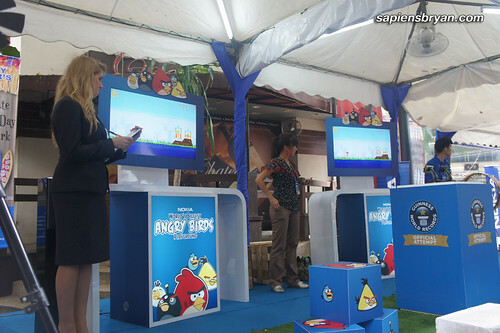 Of course we didn’t miss this golden opportunity to ask him about the latest development of Angry Birds before the event started. 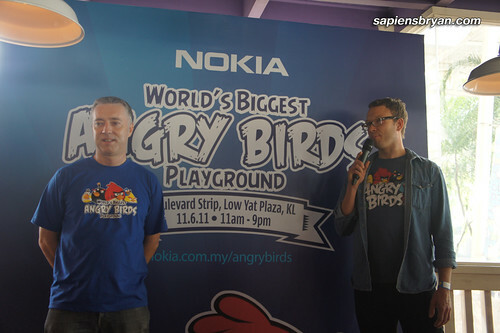 Anthony Wilson, Nokia Head of Marketing Singapore, Malaysia & Brunei, and Ville Heijari, VP Franchise Development of Rovio Mobile, were taking turns to answer questions from the medias. 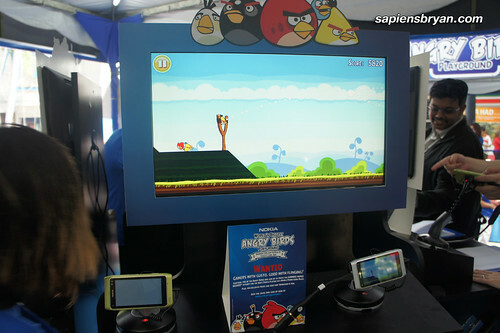 Nokia’s World’s Biggest Angry Birds Playground was set up with one primary goal, which is to attempt to create a Guinness World RecordsTM for the most people playing in a mobile phone game relay on a single device – the Nokia N8! 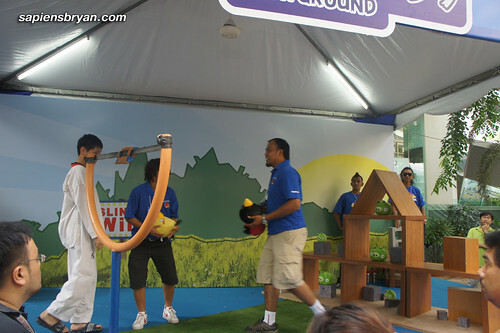 There were other fun-filled Angry Birds activities in the playground as well, like a reverse bungee, live size Angry Birds sling game, Angry Birds mascot photo session, etc. Guinness World Records Adjudicator Elizabeth Smith waits for the first participant to go onto the stage to kick start the gaming relay. 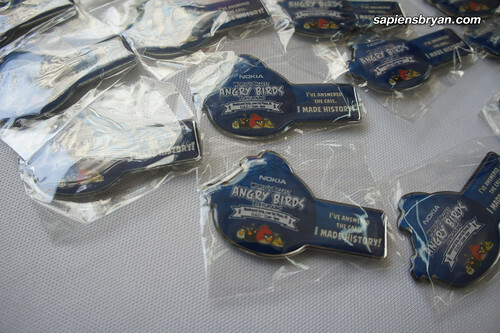 Be the Angry Bird yourself! 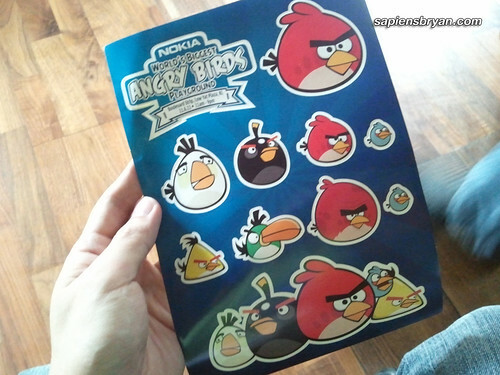 Enjoy the gaming experience of Angry Bird on Nokia devices. 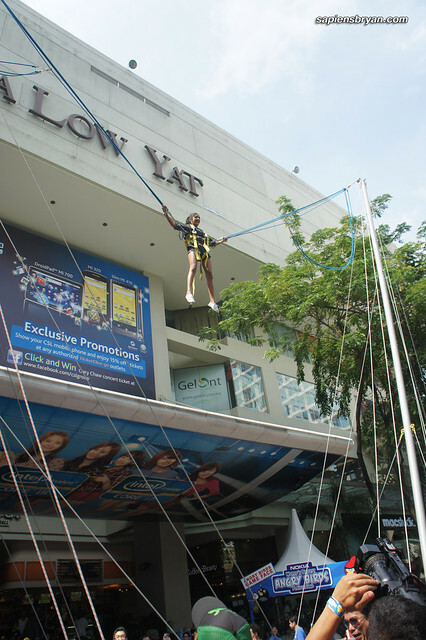 The event started from 11am till 9pm and managed to attract a huge crowd throughout the day. 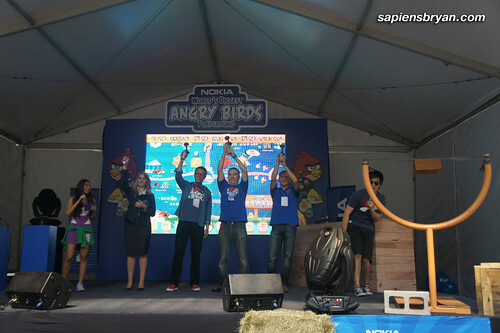 A new Guinness World Record was set at the end of the event all thanks to Nokia Malaysia and the help of 2030 fellow Malaysians who went up to the stage to play Angry Birds on Nokia N8. 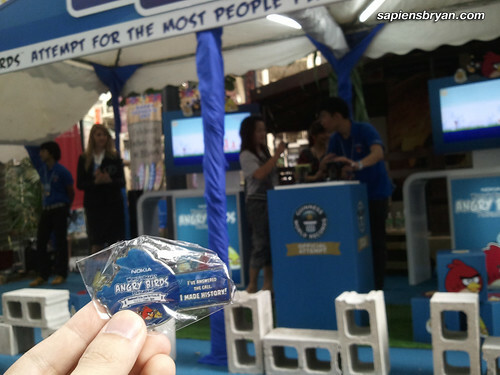 I was the lucky 100th participant and I’m totally glad I took part in setting this world record. Below are some pictures I took in the event.